Colm Tóibín has been a favorite of mine since the inception of Likely Stories in the fall of 2009. He was born May 30, 1955. 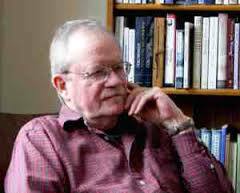 He is an Irish novelist, short story writer, essayist, playwright, journalist, critic, and poet. He has won dozens of awards—far too many to list here. He is currently a professor of the Humanities at Columbia University in New York, and he is a professor of creative writing at the University of Manchester. In 2017, he was appointed Chancellor of Liverpool University in 2017. Colm has written elevan novels along with scads of non-fiction (Wikipedia). Nora Webster is his tenth novel. He has a dream career for any aspiring creative writer. Ever since I immersed myself in the works of James Joyce, I have developed a fascination for Irish writers. Colm Tóibín is at the undisputed head of that list. Nora Webster is the story of a woman with four children—two young ladies away at school, Fiona and Aine, and two boys still in high school, Conor and Donal. As the story opens, Nora has been widowed in her early 40s. Maurice was the love of her life, and despite this devastating event, she organizes her finances to take care of her children through college. At first, lots of her neighbors come bearing food and offering help to the point she becomes reclusive. Tóibín writes, “Once more she noted the hectoring tone, as though she were a child, unable to make proper decisions. She had tried since the funeral to ignore this tone, or tolerate it. She had tried to understand that it was shorthand for kindness” (12). One day, she gets in the car and drives to a seaside vacation village to visit a house she and Maurice owned. Everyone tells Nora she should not make any rash decisions. When she enters the house, she realizes it has no value to her without Maurice. On a spur of the moment, she sells it to a friend, who gives her the fair market price. No one takes advantage of Nora. 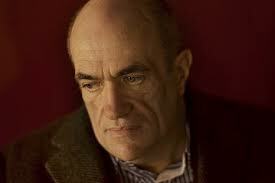 Tóibín writes, “‘Well, there are a lot of people who are very fond of you” (13). The children are disappointed, but they accept Nora’s decision. Nora pays a visit to Fiona at school, and they walk to the train. Colm writes, “As they looked at one another, Nora felt Fiona was hostile, and forced herself to remember how upset she must be, and how lonely she might be too. She smiled as she said that they would have to go and in return Fiona smiled at her and the boys. As soon as Nora walked away, however, she felt helpless and regretted not having said something kind or special, or consoling to Fiona before they left her; maybe even something as simple as asking her when she was coming down next, or emphasizing how much they looked forward to seeing her soon. She wished she had a phone in the house so she could keep in more regular touch with her. She thought that she might write Fiona a note in the morning thanking her for coming to meet them” (29). Nora is as empathetic and kind as anyone could be. After his stunning novel, Our Souls at Night blew me away, I am on the verge of completing my reading Kent Haruf’s entire collection. My latest read, Benediction tells the story of the residents of Holt Colorado in a series of vignettes. The Johnson women—Willa and Alene--and Berta May and her granddaughter, Alice, and the main characters, Dad Lewis, his wife Mary, and their daughter Lorraine, are all interesting, thoughtful, kind, and generous people. The only missing person is Frank, the son of Dad and Mary. He disappeared years ago after a conflict with Dad. Frank contacts them from time to time, but eventually, he disappears for good. After the bad news from a doctor, Haruf writes, ‘They drove out from Denver away from the mountains, back onto the high plains: sagebrush and soapweed and blue grama and buffalo grass in the pastures, wheat and corn in the planted fields. On both sides of the highway were the gravel country roads going out away under the pure blue sky, all the roads straight as the lines ruled in a book, with only a few small isolated towns spread across the flat open country” (3). After the visit to the doctor, Mary collapsed in her living room and was rushed to the hospital. They called their daughter, Lorraine, to come and help out. Haruf writes, “The next day, Lorraine drove into Holt on Highway 34 after the sun had already gone down and the blue street lamps had come on at the corners. It was all familiar to her. She turned north off the highway and drove along past the quiet night-lighted houses set back behind the front yards, some of the yards bare of trees or bushes next to vacant lots filled with weeds—tall sunflowers and redroot and pigweed—and then there was Berta May’s house which had been there when she was a child, and then their own white house. She got out and went up to the porch, a pretty woman in her mid fifties with dark hair. The air was cool and smelled fresh of the country in the evenings out on the high plains” (15). I have only been to Colorado twice, but this description recalls all the details of those brief visits. Haruf describes Willa and Alene. He writes, “It was her way, Willa’s manner and her character to keep the house clean and in good repair out in the country east of Holy though few people drove by to see it and almost no one ever visited and entered it. A white house with blue shutters and a blue shingled roof. The outbuildings were all painted a deep barn red with white trim snd they were in good condition too though they had not been used for thirty years, since her husband had died. // She still drove her car. Her eyes were failing but not so much nor so fast she was ready to give up driving” (46). There seems to be a favorite color of Haruf’s, blue, and I will look for this in the last two novels I have.